Join me Saturday February 25th from 10-3pm for my new class at Dancing Creek Winery Learn the Art of making Marmalades and how to use special ingredients to create artisan flavors. We will cover several different methods of preparation using a variety of citrus fruit. Students will learn have a hand in creating the preserves they will take home to share with friends and family. As a bonus we will make wine jelly with Dancing Creek Wines as well as learning how to incorporate wines/spirits in our creations. Sangria Marmalade anyone? 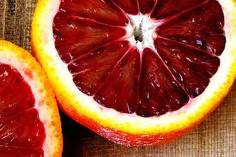 Or some delicious Grapefruit Vanilla Bean or Brandied Blood Orange Marmalade . The winery's kitchen is well designed for teaching allowing for a more intimate learning experience. After class we will enjoy our own private wine tasting- you'll love Dancing Creek's award winning wines and Jeannie's Artisan Jams h'orderves for snacking! There'll be a mini version of my JamStand and Dancing Creek Winery's finest for sale too.